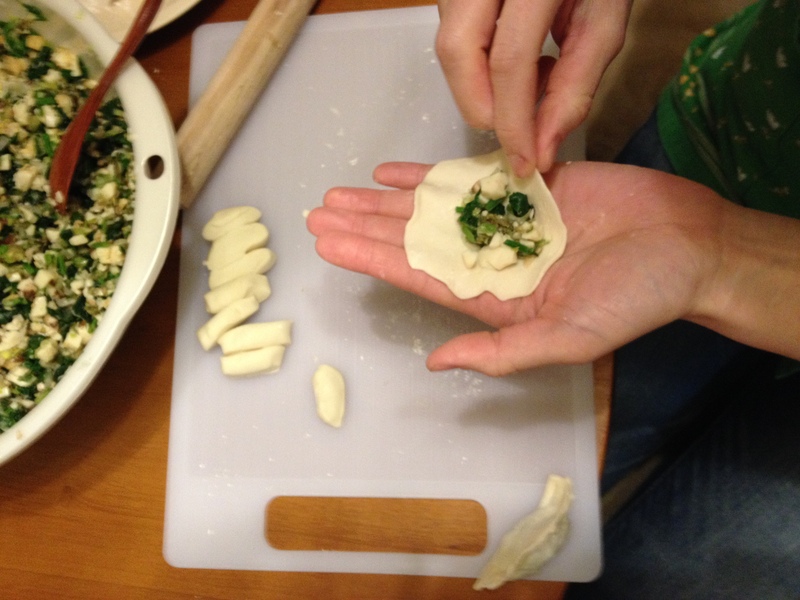 ① Mince the atsu-ageh and use your hands to make sure the bits are not clinging to one another. Boil the spinach. Do this by bringing the water to a boil first, adding a pinch of salt (not included in the list of ingredients), and then carefully placing the spinach in the boiling water for about 30 seconds. Rinse the boiled spinach under cold water. Squeeze out the excess water and chop the spinach into 5mm bits. After you finish cutting, squeeze out excess water again. Mince the green onion and shītake. 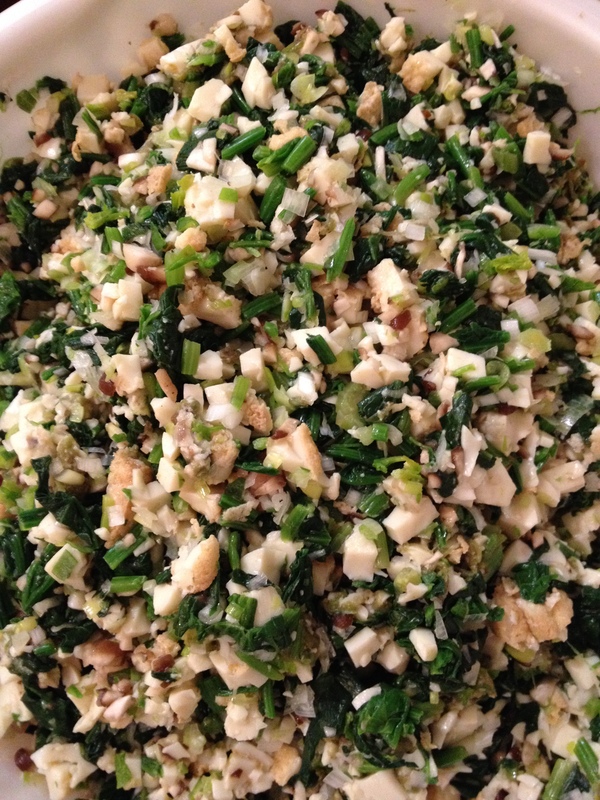 ② Add the atsu-ageh, spinach, green onion, shītake, salt, black pepper, sesame oil, and tororo konbu to a mixing bowl. Mix well. ③ Divide the mixture into 30 equal portions. Place the completed gyōzas on a cookie sheet, or something similar, dusted with flour. Add 2 tbsp or so of sesame oil to a large frying pan and place the pan on medium heat. When the pan gets hot, place the gyōza in the frying pan, bottoms down to brown them. Once the bottoms are browned, add a 1/2 cup of hot water and cover to steam for 7-8 minutes. Bring a generous quantity of water to a boil. Carefully place the gyōza into the boiling water. Stir a few times just to prevent the gyōzas from sticking to one another. Boil for 4-5 minutes. Gyōza are commonly enjoyed with a mixture of vinegar, soy sauce, and chili oil. Many people also add coriander and black pepper. Try any or all of these in whatever combination you would like.